Located between the Beaupré Coast and Charlevoix, this site allows you to immerse yourself in a pristine natural setting. 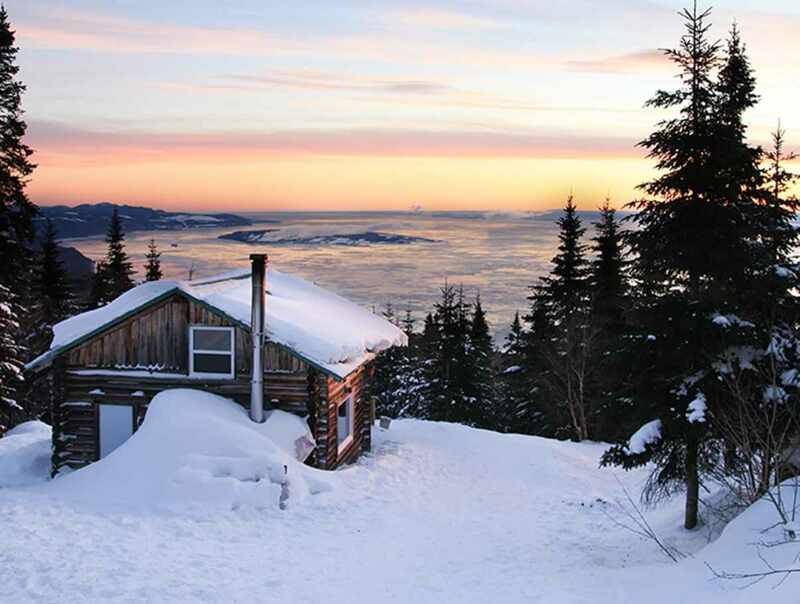 The gorgeous view of the mountains and St. Lawrence River will leave you breathless. Magnificent old forest with many species of trees. 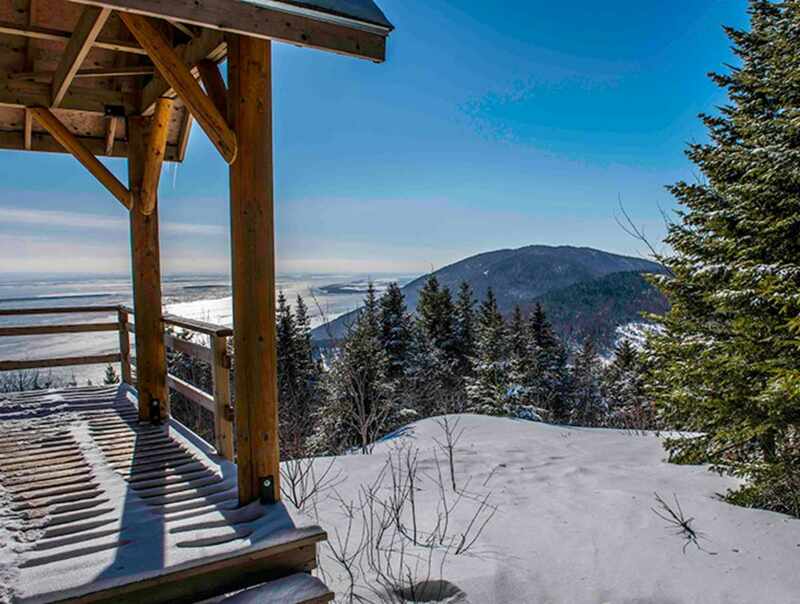 At the St-Tite-des-Caps lodge, you can go on a one-day hiking or snowshoeing outing, though longer excursions are available: 51 km (31.6 mi. ), 2- to 6-day trips with car and luggage transfer service. 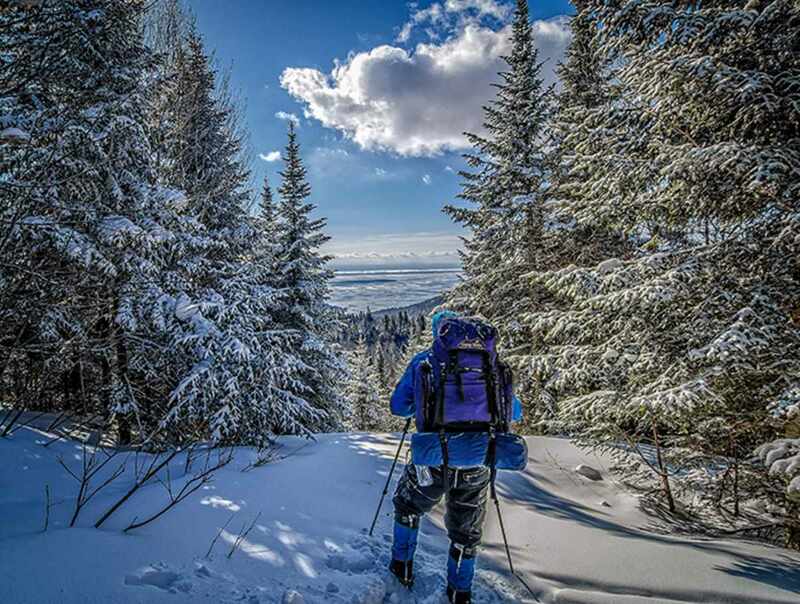 At the Charlevoix lodge, you can go cross-country skiing or snowshoeing (open daily).